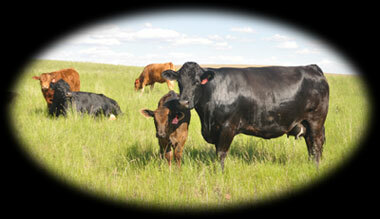 We offer you Black Angus and Red and Black Simmental because the two breeds compliment each other so beautifully. Consider this your one stop shop for low birth weights, calving ease, maternal powerhouses, with performance to burn, all wrapped up in moderate sized packages, and built to withstand the harshest of winters and driest of summers. Our cows and bulls are chosen carefully and reflect the type of cattle we believe in – simply said, easy doing, functional, and correct. We are proud of our cows and do our best to have udated pictures of our ENTIRE HERD on this site - not just the show cattle. 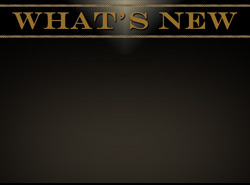 We hope you enjoy the tour, if you would like to request a Bull Sale Catalogue, have any questions, or simply want to learn more please proceed to the Contact Us page. Thank you for taking the time to check-out our program. 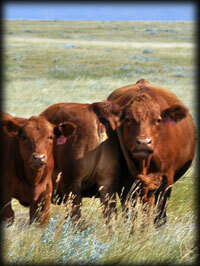 We would like to welcome you to the Boundary Ranch Division of the Delorme Livestock Program. We are located in the extreme South - West corner of Saskatchewan. 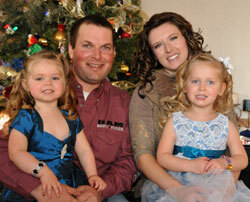 We are the fourth family generation to raise Commercial Black Angus cattle, (est. 1948), and the third generation to raise Registered Black Angus cattle (est. 1963). Our Purebred Simmental cattle come from Sarah’s side of the family, Denis and Colleen Cloutier of Kimlake Farms Ltd. where the Simmental program was established in 1995.